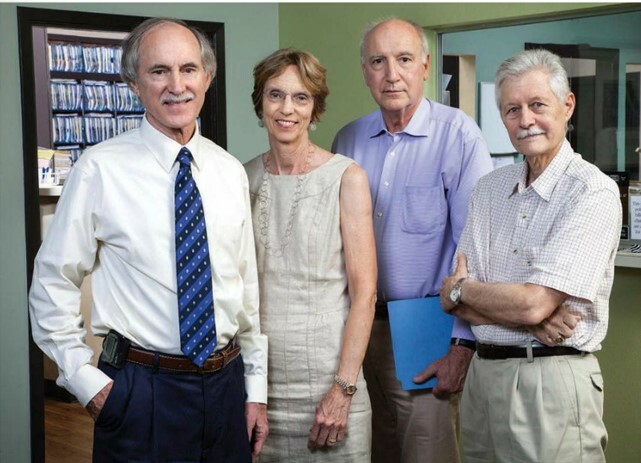 The four physicians of AIMA will retire after the practice closes its doors Sept. 4. From left to right: Ace Alsup, MD; Isabel Hoverman, MD; R. Scott Ream, MD; and Frank Robinson, MD. Photo by Jim Lincoln.